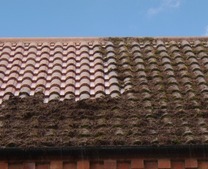 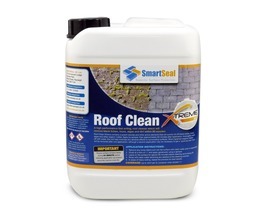 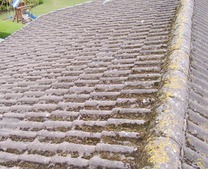 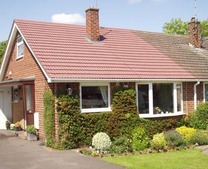 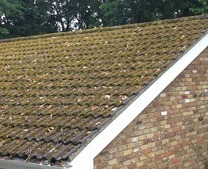 We are suppliers and stockists of a complete range of cleaning products for roofs. 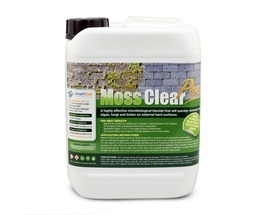 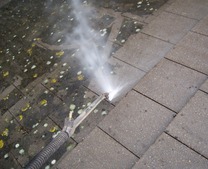 We also offer preventative products to inhibit the return of moss, algae and unsightly white or black spot. 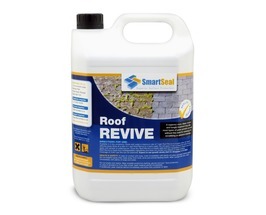 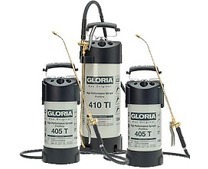 Once applied, these highly effective roof cleaning products will transform the roof without the need for potentially damaging pressure washing. 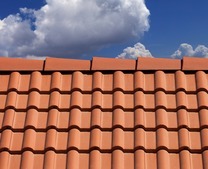 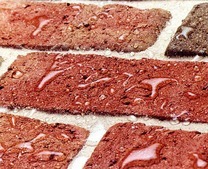 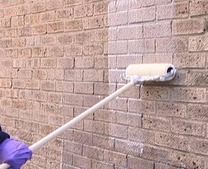 Ideally the products can also be applied safely by DIY without walking on the roof, but frequently without professional equipment, this is not always possible. 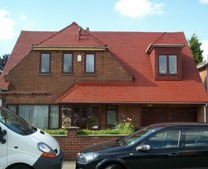 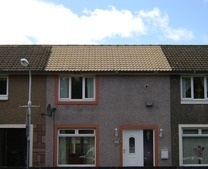 If you need advice or quotation from a professional company, this can be arranged.